This Web site is your comprehensive resource center for information, images and events concerning the Vanderbilt Cup Races held on Long Island from 1904 to 1910. The majority of the images are from the books Vanderbilt Cup Races of Long Island and The Long Island Motor Parkway from Arcadia Publishing. All author royalties from the books and speaking honoraria are donated to CAPS (Child Abuse Prevention Services). CAPS is a nonprofit, volunteer organization dedicated to the promotion of child safety through dynamic programs concerning child abuse, bullying, Internet safety, and sexual harassment. Howard Kroplick, 69, has lived on Long Island for his entire life. Currently town historian of North Hempstead, he has lectured extensively on the Vanderbilt Cup Races, the Long Island Motor Parkway and the history of the Town of North Hempstead. 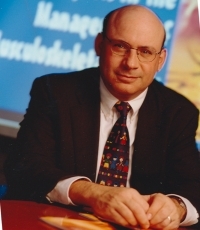 Howard was the founder and owner of The Impact Group, a Manhattan-based medical communications company.Started as a one-man company, Impact grew to one of the largest medical education agencies in the world with over 150 employees and offices in New York, New Jersey and California. The company has been involved in major medical education programs for the pharmaceutical industry including; Pfizer (most notably Viagra, Lipitor and Zithromax), Merck, Glaxo, AstraZeneca, and Amgen. In June 2008, he sold the company. Howard was awarded an MBA from the Wharton School, University of Pennsylvania and a bachelor of engineering degree from Stony Brook University. In December 2013, Howard was profiled in a Wharton Magazine article "The Black Beast and The Blue Pill." Howard and Roz have been honored by CAPS (Child Abuse Prevention Services) with the 2007 John Davis Memorial Award in recognition of their commitment to child abuse prevention. In May 2013, Howard was one of the honorees for the Sid Jacobson JCC's Tenth Annual Friendship Circle Luncheon. He is on the Executive Board of Directors of the Sid Jacobson Jewish Community Center in East Hills, New York, on the Board of Trustees/Directors for: Roslyn Landmark Society, Society for the Preservation of Long Island Antiquities (SPLIA) and the Association of Suffolk County Historical Societies (ASCHS). On September 4, 2018, Howard was elected president of the Roslyn Landmark Society. He is also a member of the Society of Automotive Historians. In April 2012, Howard was appointed Town Historian of North Hempstead, a registered New York State historian, and a member of the town's Historic Landmark Preservation Commission. In 2016, he was awarded the Edmund J. Winslow Local Government Historian Awarded for Excellence by the Association of Public Historian of New York State given to one New York historian each year. Howard is president of the Long Island Motor Parkway Preservation Society. His exhibits on the Vanderbilt Cup Races have been shown at various Long Island Museums including the Suffolk County Vanderbilt Museum, the Cradle of Aviation, and the Nassau County Museum of Art. Over the last 15 years, Howard has collected 90,000 images of the Vanderbilt Cup Races and the Long Island Motor Parkway and has accumulated an extensive collection of racing memorabilia. His first book, Vanderbilt Cup Races of Long Island , was published in February 2008. His second book The Long Island Motor Parkway was published in September 2008 and co-authored with Al Velocci. His third book North Hempstead was published in January 2014. All proceeds from the presentations and sales of the three books are donated to charitable organizations including; Child Abuse Prevention Services (CAPS). With the assistance of his daughter Dana Kyle in March 2008, Howard founded and created the website VanderbiltCupRaces.com. In 2012, the website was honored with two Webby Awards for the Automotive and Sports categories. In 2013, VanderbiltCupRaces.com was selected by the International Academy of Digital Arts & Sciences as one of the five best in the world for "cars sites & car culture". Howard is well-known for his unique car collection. In December 2008, he purchased the restored 1909 Alco-6 Black Beast Racer that won the 1909 and 1910 Vanderbilt Cup Races and raced in the first Indy 500 Race in 1911. In celebration of the 100th anniversary of the Inaugural Indy 500 Race, the Alco Black Beast participated with six other race cars in a parade lap at the 2011 Indy 500 Race. The car was driven by two-time Indy 500 winner Emerson Fittipaldi with Howard as his passenger. In October 2012, Howard appeared in the finale of the History Channel's Men Who Built America. Driving the Alco Black Beast, he played Alexander Winton, the fastest man alive, racing against novice Henry Ford. In March 2014, Howard was profiled on the Velocity Channel's series AmeriCarna featuring NASCAR racing champion crew chief Ray Evernham. In 2012, he purchased a 1937 Chrysler Imperial C-15 Town Car at an auction at the Suffolk County Vanderbilt Museum. This one-of-a-kind car nicknamed "Chrysler's Chrysler" was custom built by Le Baron for the Chrysler family. In April 2015, he purchased the unique 1963 Mustang III Concept Show Car, which is considered the oldest Mustang on the road today.In January 2017, Howard purchased Tucker '48 #1044, one of only 51 Tucker automobiles that were built. Howard has been a die-hard Met fan for 53 years and is often seen behind home-plate in the Excelsior level of CitiField with his family and friends waving his large Met flag. What are the Vanderbilt Cup Races of Long Island? At the turn of the 20th century the superiority of European automotive craftsmanship cast a long shadow over America’s fledgling car industry. To encourage American automobile manufacturers to challenge European quality, 26-year old William K. Vanderbilt Jr., heir to a railroad fortune and a pioneer race car driver, organized America’s first international road race, modeled after those held in Europe. The six Vanderbilt Cup Races held on Long Island from 1904 to 1910 were the greatest sporting events of their day. These colorful, exciting, and dangerous races drew huge crowds from 25,000 to over 250,000 spectators. Eleven other races were associated with these six Vanderbilt Cup Races including two American Elimination Trials (held in 1905 and 1906) and nine Sweepstake races (held from 1908 to 1910.) Images of these races appeared the books "Vanderbilt Cup Races of Long Island" and "The Long Island Motor Parkway" available from Arcadia Publishing. What is the significance of the Vanderbilt Cup Races of Long Island? The races had a far-reaching impact on the development of American automobiles and parkways and are a testament to the early racing spirit and drama. Vanderbilt’s races introduced America to big time motor sport and helped focus the nation’s automobile industry on improving their products. The classic race’s departure from Long Island was the end of an era as the sport passed on to subsequent generations that could never create or endure the challenges of what was the Vanderbilt Cup Race in rural Long Island at the dawn of the industrial age. What is the Long Island Motor Parkway? Following a spectator death during the 1906 Vanderbilt Cup Race, William K. Vanderbilt, Jr. and the race sponsors determined that the huge crowds and risks to the spectators precluded the race on public roads. Two days after the race, the concept for a privately owned speedway on Long Island was developed by Vanderbilt and his associates - the first highway built exclusively for the automobile. Vanderbilt’s dream was to build a safe, smooth, police-free road without speed limits and a place where he could conduct his beloved automobile race, the Vanderbilt Cup Race, without spectators running onto the course. After 20 months of obtaining the road’s right of way, construction of the first section of the Long Island Motor Parkway was begun in June 1908. Nine miles of the Motor Parkway would make up part of the course for the 1908 Vanderbilt Cup Race and five miles for the 1909 and 1910 Vanderbilt Cup Races. By 1928, the Long Island Motor Parkway would eventually connect Fresh Meadows, Queens, to Lake Ronkonkoma in Suffolk County, a total of 44 miles. Reflecting its poor profitability and the availability of new free public parkways, the Long Island Motor Parkway closed for good on Easter Sunday, 1938. If you would like a complimentary appraisal of your Vanderbilia, please send a jpeg to howard@kroplick.com.